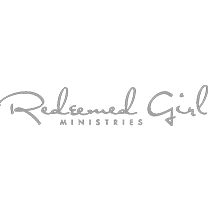 Marian Jordan Ellis, from Redeemed Girl Ministries, shares the story of Mary Magdalene to illustrate the surrendered heart. Jesus is the only One who has the right to sit upon the throne of our hearts. Mary Magdalene came, announcing to the disciples, “I have seen the Lord,”—John 20:18. At dawn that Sunday, Mary Magdalene slipped into the cold Jerusalem morning with one thing on her mind. Her destination was the garden, where they had buried her Savior. She was the first person to the tomb. The other disciples were too afraid to surface from hiding, but not Mary. She didn’t care; she had one thing on her mind—Jesus. “What could the Romans do to her now?” she thought to herself. They’d already taken away the one thing that mattered to her in the world—her Lord. As she ran towards the tomb--just thinking of the “tomb” caused her stomach to lurch—she remembered the first day she saw Him. He entered her village, and her world turned upside down. 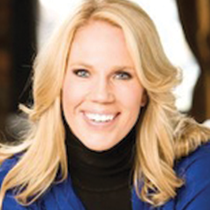 Everyone had heard of Him, but now she would see the One that many believed was the Messiah—the Savior. Could He be? “Just one glimpse,” she told herself. She’d always heard that the Messiah would make all things new—He would heal the sick, give sight to the blind, and free the captives. She did the math and thought, “I’ve got two out of three working for me. Maybe if I just see Him, my years of torture will end.” She pressed through the crowds, which parted at her presence. No one wanted to associate with such an unclean, crazed woman. No one but Jesus, that is. All it took was one touch and she was healed. Jesus touched her, and for the first time in her life, she breathed the sweet air of freedom. She believed. “He is the Messiah—the Son of the Living God.” Revelation brought transformation. From that moment on, she devoted her life to following her Savior. Words cannot express the love she felt for Him. How can you not love the one who sets you free? How can you not love the one who heals your body, soul, and spirit? How can you not love the one who unconditionally accepts you when all you’ve known your whole life is rejection? As Mary neared her destination, she stopped with a fright. The grave… the tomb… the stone—it was gone! Assuming the worst, she sprinted back to get Peter and John. “After all, they were the closest to Him,” she thought, “They will know what to do." Gasping for air, she reported the news, “They’ve taken the Lord, and we don’t know where they have put Him!” Upon hearing her information, the two men sprinted to the tomb. Mary was right. Jesus was not there. Peter and John found the strangest thing; the stone was rolled away and inside …His clothes were neatly folded. Confused, they turned and headed back to join the others. But, not Mary—she stood outside the tomb crying. Stopping in mid stride, she spun around to face the One speaking. She knew that voice! That was the voice that set her free. That was the voice that healed her life. That was the voice that gave her hope to keep living. That was the voice of her Jesus. Her Lord. “Teacher!“ she exclaimed as she flung herself at Him. Could it be true? Is it really my Lord? How can this be? I watched Him die, but here He is very much alive. As these thoughts flew through her mind, she was unaware that she was holding onto Him, too afraid to let Him go. Mary Magdalene loved Jesus with the purest sense of devotion. Affection born out of gratitude, she knew what it meant to receive mercy, forgiveness, healing and grace. More than that, Mary knew that Jesus loved her. After all, it was His love that transformed her from the inside out. Mary models for us a radiant life, one that follows Jesus and serves Jesus in response to His amazing love. She was so “in love” with Him that worshipping, obeying, and adoring Him was the air she breathed. Mary proclaimed Jesus as the Risen Lord. To call Him “Lord” is to submit to His rule, power, dominion and authority. This is the surrendered heart. As worshippers of Christ, we don’t just know Jesus as the One who saves us from our sins, but we also worship Him as the Risen Lord. The One who rules and reigns. The only One who has the right to sit upon the throne of our hearts. Let us give Him all the Glory, for He alone is Worthy!